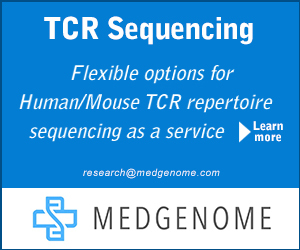 RNA sequencing (RNA-Seq) uses the capabilities of high-throughput sequencing methods to provide insight into the transcriptome of a cell. Compared to previous Sanger sequencing- and microarray-based methods, RNA-Seq provides far higher coverage and greater resolution of the dynamic nature of the transcriptome. Beyond quantifying gene expression, the data generated by RNA-Seq facilitate the discovery of novel transcripts, identification of alternatively spliced genes, and detection of allele-specific expression. 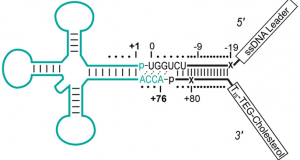 Recent advances in the RNA-Seq workflow, from sample preparation to library construction to data analysis, have enabled researchers to further elucidate the functional complexity of the transcription. In addition to polyadenylated messenger RNA (mRNA) transcripts, RNA-Seq can be applied to investigate different populations of RNA, including total RNA, pre-mRNA, and noncoding RNA, such as microRNA and long ncRNA. 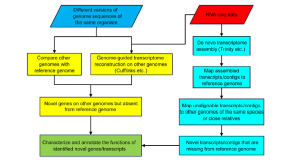 Overview of RNA-Seq. 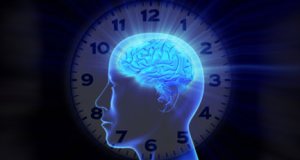 First, RNA is extracted from the biological material of choice (e.g., cells, tissues). 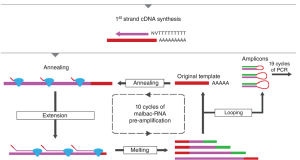 Second, subsets of RNA molecules are isolated using a specific protocol, such as the poly-A selection protocol to enrich for polyadenylated transcripts or a ribo-depletion protocol to remove ribosomal RNAs. 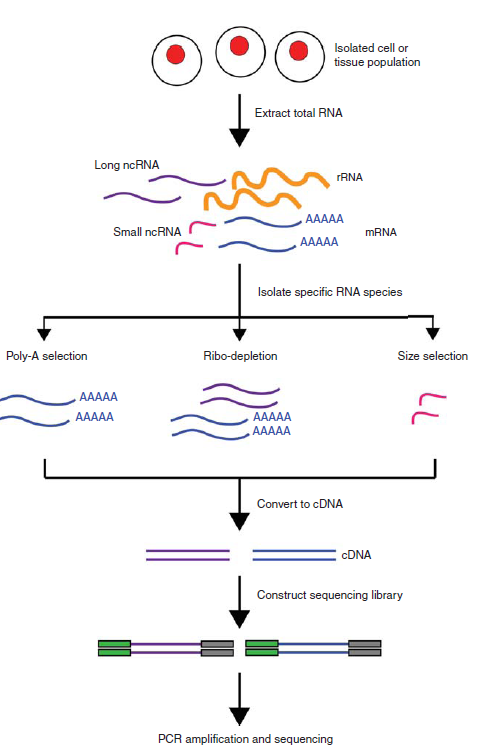 Next, the RNA is converted to complementary DNA (cDNA) by reverse transcription and sequencing adaptors are ligated to the ends of the cDNA fragments. 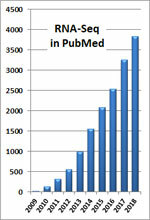 Following amplification by PCR, the RNA-Seq library is ready for sequencing. Overview of RNA-Seq data analysis. 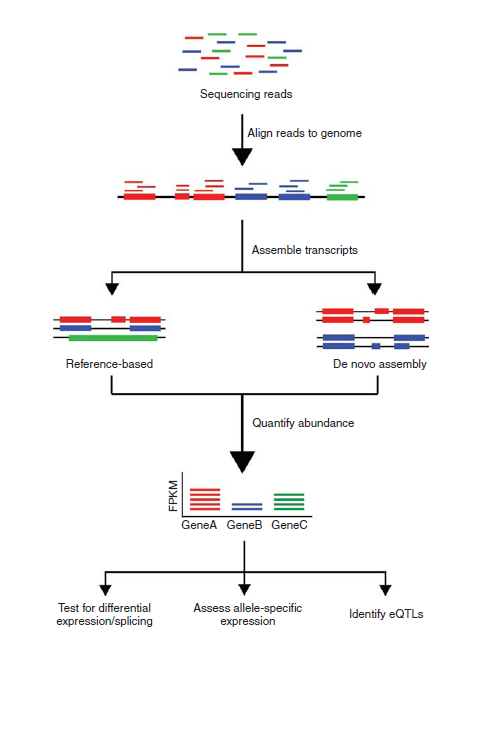 Following typical RNA-Seq experiments, reads are first aligned to a reference genome. Second, the reads may be assembled into transcripts using reference transcript annotations or de novo assembly approaches. Next, the expression level of each gene is estimated by counting the number of reads that align to each exon or full-length transcript. Downstream analyses with RNA-Seq data include testing for differential expression between samples, detecting allele-specific expression, and identifying expression quantitative trait loci (eQTLs).